The KRUX is a sleek and agile hand layup rifle stock reinforced with a carbon fiber core that's lightweight yet is able to accomodate a wide variety of barrel diameters from lightweight sporter all the way up to Proof Research Sendero (M24). Weighing in at a mere 27 ounces and 28" in length, the KRUX is the perfect stock for a backcountry rifle build. 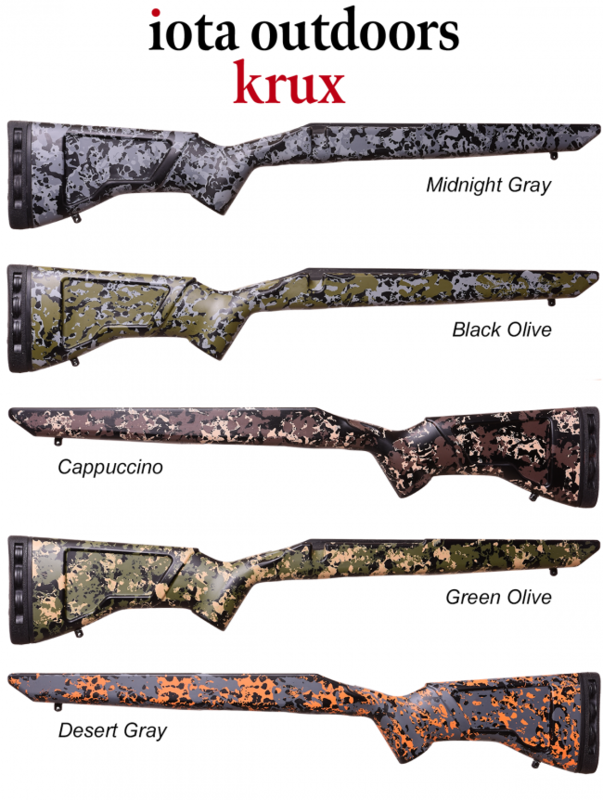 The low-profile composite rifle stock is sleek and agile.